We're up to Part Four -- and circumstances are beyond dire. The unseen forces long at work behind human history have been unmasked -- and the powers they wield are scary. Meanwhile, the warlike Hunter clan interned for decades in the outer Solar System has gone from clandestine resistance to all-out war. Precious little stands in the way of blocking either group. Desperate times call for desperate alliances …. 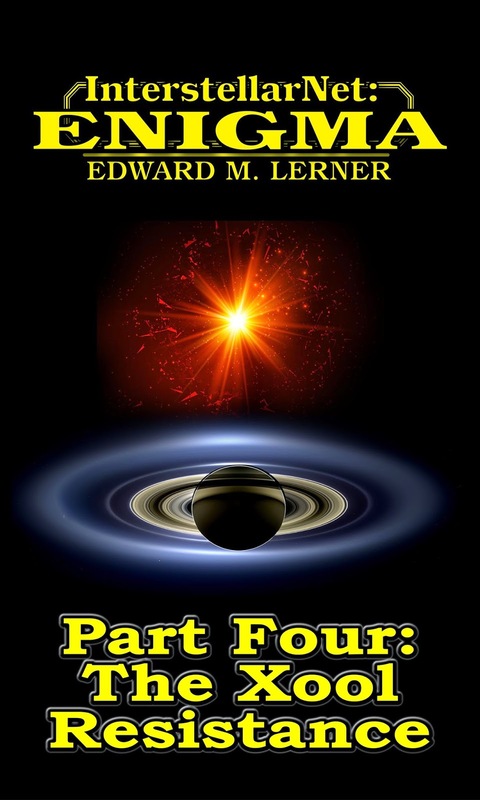 Don't miss InterstellarNet: Enigma, Part Four / The Xool Resistance for the Kindle (and elsewhere, for Nook and iGadgets) for only $2.99. Or consider the entire novel for $7.99.